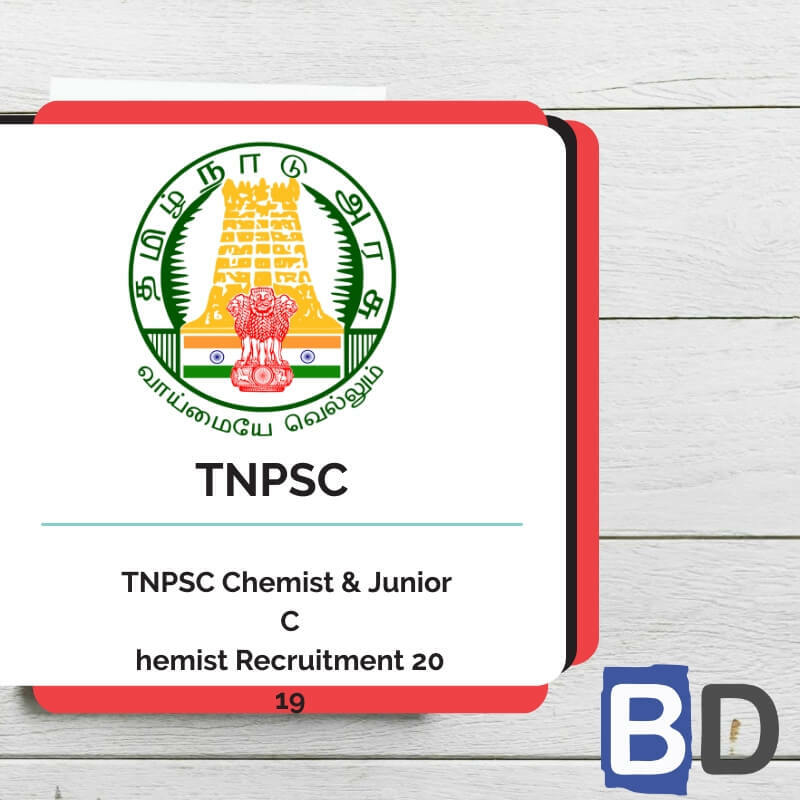 The Union Public Service Commission (UPSC) has announced the recruitment process for posts available in Central Armed Police Forces (CAPFs) – Assistant Commandants. 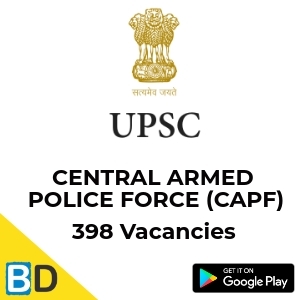 The total number of vacancies available for the posts available in Central Armed Police Forces (CAPFs) is 398. 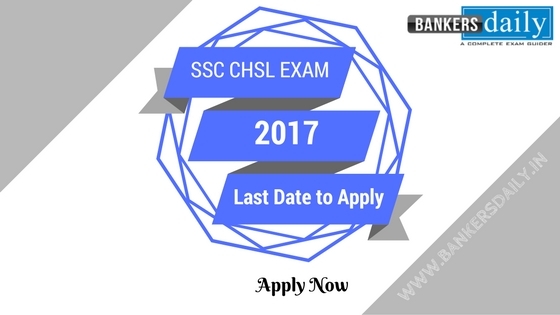 Union Public Service Commission (UPSC) has released the notification now and the recruitment process is different from that of the normal banking exams and aspirants should prepare a different strategy for the CAPF Exam 2018. The Aspirants who wish to apply for the UPSC CAPF Exam will have to satisfy the necessary Qualification and should fulfill that. The Union Public Service Commission will hold a Written Examination on 12th August, 2018 for recruitment of Assistant Commandants (Group A) in the Central Armed Police Forces (CAPF) viz. Border Security Force (BSF), Central Reserve Police Force (CRPF), Central Industrial Security Force(CISF), Indo-Tibetan Border Police (ITBP) and Sashastra Seema Bal (SSB). The Examination will be held in accordance with the Rules for the Examination published by Ministry of Home Affairs in the Gazette of India dated 25th April, 2018. The date of holding the examination as mentioned above is liable to be changed at the discretion of the Commission. The number of vacancies mentioned above is liable to alteration. Reservation will be given effect to as per policy of the Govt. 10% of the vacancies are earmarked for ex-servicemen. NOTE: In case the vacancy(ies) reserved for Ex-servicemen remain unfilled due to non- availability of eligible or qualified candidates, the same shall be filled by candidates from non- ex-servicemen category. We are providing some of the important conditions mentioned in the CAPF notification, please find that below. Both Male and Female candidates are eligible for appointment to the post of Assistant Commandants. A candidate must have attained the age of 20 years and must not have attained the age of 25 years on 1st August 2018, i.e. he/she must have been born not earlier than 2nd August 1993 and not later than 1st August 1998. The upper age limit prescribed above will be relaxable. upto a maximum of five years for Civilian Central Government Servants in accordance with the existing instructions of the Central Ex-Servicemen will also be eligible for this relaxation. However the total relaxation claimed on account of Government Service will be limited to five years. upto a maximum of five years if a candidate had ordinarily been domiciled in the State of Jammu & Kashmir during the period from 1st January, 1980 to the 31st day of December, 1989. A candidate must hold a bachelor’s degree of a University incorporated by an Act of the Central or State Legislature in India or other educational institutions established by an Act of Parliament or declared to be deemed as a University under Section-3 of the University Grants Commission Act, 1956 or possess an equivalent qualification. Candidates (excepting Female/SC/ST candidates who are exempted from payment of fee) are required to pay a fee of Rs. 200/- (Rupees Two Hundred Only) either by depositing the money in any Branch of SBI by cash, or by using net banking facility of State Bank of India or by using Visa/Master/RuPay Credit/Debit Card. The Online Applications can be filled upto 21st May, 2018 till 18.00 hours. Written Examination: The written examination to be conducted by Union Public Service Commission will be held on 12th August, 2018 and will comprise two Paper I will be held from 10 a.m. to 12.00 Noon and Paper II will be held from 2.00 p.m. to 5.00 p.m. The questions in this paper will be of Objective (Multiple Answers) Type in which the questions will be set in English as well as Hindi. 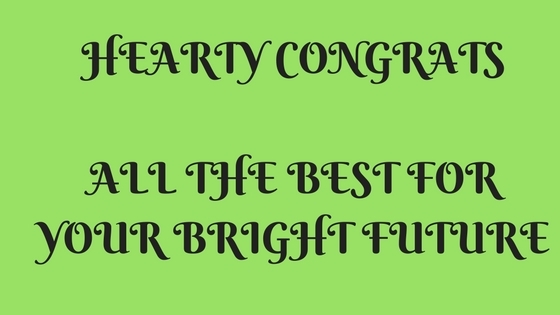 In this paper candidates will be allowed the option of writing the Essay Component in English or Hindi, but the medium of Precis Writing, Comprehension Components and other communications/ language skills will be English only. NOTE-I : Candidates should ensure that in Paper II they write the answers only in the medium allowed by the Commission for the different Components as mentioned above. No credit will be given for answers written in a medium other than the one allowed in the Paper. Candidates will be required to indicate the medium of Essay Component in the Attendance Lists and on the Answer Book. No credit will be given for the Essay Component if the candidate indicates a medium on the Attendance List and on the Answer Book other than the one in which he/she has written the Essay. NOTE-II: There will be minimum qualifying marks separately in each Paper as may be fixed by the Commission in their discretion. Paper-I will be evaluated first and evaluation of Paper-II will be done only of those candidates who obtain the minimum qualifying marks in Paper-I. Pregnancy at the time of PET will be a disqualification and pregnant female candidate will be rejected. Medical Standards Tests, to check the standards specified in Appendix-VI, will be conducted only in respect of candidates who are declared qualified in the Physical Efficiency Test. Candidates who are declared qualified in the Medical Standards Tests, will be called for Interview/Personality Test to be conducted by Union Public Service Commission. Candidates who are declared medically unfit but allowed to appear before the “Review Medical Board” on their appeal by the Appellate Authority will be called for Interview/Personality Tests provisionally. The Interview/Personality Test will carry 150 Marks. Candidates who are short-listed for Interview/Personality Test, including those shortlisted for Interview/Personality Test provisionally will be issued a Detailed Application Form (DAF) in which among other things, they will be required to indicate their preference of Forces. Candidates are required to apply online only by using the website www.upsconline.nic.in Brief instructions for filling up the online Application Form have been given in Appendix-II. Detailed instructions are available on the above-mentioned website. Alternately aspirants can click the below-mentioned link to directly apply for the CAPF Exam 2018. Aspirants can check the notification of the UPSC CAPF (Central Armed Police Forces (CAPFs)) from the link that is mentioned in the UPSC Website. Pease check that from the below given link. 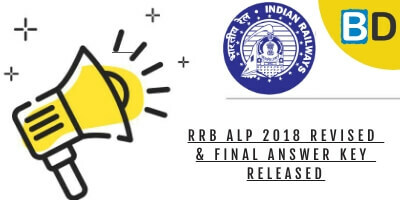 Don’t Forget to Attend the 49 MOCK TEST for the SBI CLERK PRELIMS EXAM 2018 in our Bankersdaily Store. Check the MOCK TESTS now from the below given links.